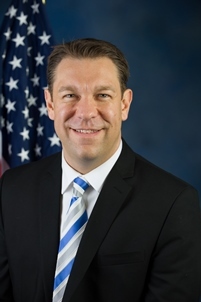 One of the top political stories this week is the recent bust for cocaine possession of Rep. Trey Radel, a Republican freshman congressman from Florida. Radel pleaded guilty today, and was sentenced to a year of supervised probation. As I write this piece, he is giving a press conference to apologize to the country and his family. One of the top political stories this week is the recent bust for cocaine possession of Rep. Trey Radel, a Republican freshman congressman from Florida. Radel pleaded guilty today , and was sentenced to a year of supervised probation. As I write this piece, he is giving a press conference to apologize to the country and his family. Since the bust came to light, headlines have been circulating to the effect of Radel having voted for legislation to drug test food stamp recipients. I believe this is off base, because it is true only in a technical sense. As the body of the articles explain, what Radel voted for was an ultimately failed version of the Farm Bill, one of the major, recurring federal budget bills that get authorized every five years. It includes things like agricultural subsidies, funding for the food stamps program as a whole (now known as SNAP, Supplemental Nutritional Assistance Program, rather than "food stamps"), many other items. Drug testing of food stamp recipients was just one provision out of many in the bill, and a look at the bill's roll call  shows that while it was mostly Republicans who voted for it, there were also some Democrats, including some liberals who almost certainly opposed the drug testing provision. Politicians frequently have to vote for bills that include provisions they don't like, because they want to larger package to pass. The drug testing language was actually added to the bill  through an amendment  sponsored by Rep. Richard Hudson (R-NC), which was passed on a voice vote, no roll call. That means there is no way to know, at least from the official legislative record, what Radel's position on the amendment was. His vote for the Farm Bill is consistent with supporting the amendment, with opposing the amendment, or with having no position on it. It's legitimate to point out, as a Politico article did , that Radel's arrest "brings up drug testing for food stamps." I hope it does, but that's a different point. A ThinkProgress article  noted that Radel has made comments suggesting "nuance" in his views on drug policy, pointing out he cosponsored a bill to reduce the use of mandatory minimum sentencing  for low-level drug offenses. Perhaps in a nod to the "drug testing vote" headlines, the article has an update at the bottom mentioning the vote. I believe the original thrust of the article was on target, and I don't see the hypocrisy angle holding up in this case, at least from as much as we know right now.